What are the best iPad apps for pastors? Using my iPad as a pastor for the last 3 years, I have tried a lot of different apps. If you are anything like me, you are in a never-ending hunt, roaming the iTunes App Store looking for the next app that will make your iPad better than ever. After trying many different apps, I have compiled a list of my absolute favorite iPad apps for ministry that I truly believe every iPad packing pastor needs. Day One Journal – Day One recently has won various app awards for a reason. It is the best app for anyone who journals. It is especially useful for your quiet time with God. If you are not into journaling, consider using Day One for recording prayer requests. Another great use is for having a record what God has been speaking to you in your quiet time with Him, so you can pull those thoughts for sermon preparation later. Evernote – Never forget anything ever again. This the best note-taking app ever. I use Evernote for keeping a database of every sermon I have ever preached. I also use it to capture down random ideas for sermons, illustrations, blog posts or whatever else comes to mind. Evernote helps you capture great ideas before you forget them. A must for every pastor! Plus, here are more ways Evernote makes a pastors life easier. Penultimate - Penultimate is a hand-written note taking app created by the good folks at Evernote. Because it is owned by Evernote, as soon as you are done taking your notes, it automatically saves them into a designated Evernote folder for you. I love using this app for taking notes in meetings. Call me old school, but I find that typing on an iPad can seem obnoxious during meetings. People don’t know if you are sending email, surfing the web, or actually paying attention. So I use Penultimate along with a good stylus to write meeting notes by hand, that are later searchable in Evernote. This just feels and looks much more professional to me. Paper – Paper also won the app of the year award from iTunes. It is an awesome note-taking / drawing app. Paper allows you to organize notes and sketches into different notebooks just like if you had a bag full of notebooks with you. The interface is smooth and easy to use. I love using it for brainstorming sessions. Plus, it just looks beautiful. LogMeIn – A must for the pastor on the go. LogMeIn allows you to access your desktop computer at any time from your iPad. It’s like having you computer with you at all times. Everything you need is right on your iPad. It can be a little pricey, but it’s worth it if you are rarely in your office. 1 Password – Never forget a password again! Like most tech-savvy pastors, you probably have multiple different accounts on multiple different websites. Forgetting a password can be an extremely frustrating and time-wasting scenario. 1 Password is an app for keeping all of your passwords in one secure place. Downcast – The best podcast listener out there! If you want to grow as a pastor, listen to free podcasts from your favorite preachers. It automatically syncs across your iPad and iPhone. The best feature is the ability to speed up podcasts. By going up to 2x speed you can cut an hour-long message to 30 minutes, or a 30 minute message to 15. This is a great time saver, and you will be surprised at how quickly your brain adjust to the increased speed. Logos Bible! – Logos gives you the power of an entire research library with you wherever you go. If you haven’t purchased the Logos software you can still do Hebrew and Greek studies and read the Bible for free. However, if you use Logos software, this app will sync with your entire book library. Excellent for sermon study on the go! The Bible App – The Bible App from YouVersion is the best Bible app without exception. This has practically replaced my paper Bibles. The reading plans are a fantastic way to keep you accountable for daily Bible reading. And if you are driving, working out, or just don’t feel like reading, you can listen to the audio versions. All for free! Bible for Kids – The Bible for Kids app was created by the YouVersion team. It’s FREE. And my 4-year-old daughter loves it. If you have kids get it. You should also recommend it to parents in your church for a fun, interactive way to get kids to learn Bible stories. I can’t help but wonder why they didn’t have anything as cool as this when I was a kid in Sunday school and we just had the flannelgraph. Planning Center – Planning Center is the best worship service and volunteer management system available. If you have never heard of it, do yourself and your worship pastor a favor and go to PlanningCenterOnline.com right now! Hurry up! I use this app weekly to manage the service order and coordinate the scheduling of hundreds of volunteers. Makes planning services and coordinating volunteers easy! HootSuite – If you are using Social Media to reach your people and community (which you should). HootSuite is a great way to schedule posts across multiple sites. Use it for the church Facebook page, twitter profile and more. The greatest feature is the ability to schedule posts in advance. You no longer have to log in to each website individually at the perfect time to get the message you want out at the optimal hour. I am currently 3 months out in scheduled posts. Did I mention it’s free! Pages, Numbers, Keynote – The office products from Apple are second to none. For writing documents, managing spreadsheets, or creating presentations, these apps are a must-have for every iPad. 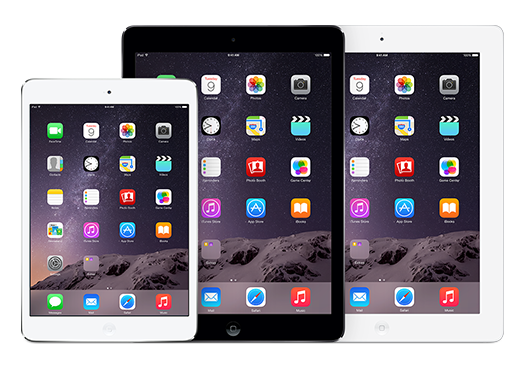 Apple has made them FREE for anyone who has recently purchased a new device (iPhone or iPad). But whether it is free or not, I don’t see any reason why you wouldn’t use these apps. Check them out. Kindle – If you love reading, you need to get the Kindle app on your iPad. Why do I use Kindle instead of iBooks? 1) Amazon is the biggest book company in the world, and has a bigger selection of books for often a better price. 2) Call me paranoid, but if Apple ever went downhill as a company – gasp – I will still have all my Kindle books that I can read on an Android tablet, online, or an actual Kindle reader. I am not locked into an iPad. And 3) I love being able to access all my notes at kindle.amazon.com and save all of my highlights into Evernote for quick reference (more on that here). Presentation Clock – I love using this app for timing my preaching. I speak a lot in environments with no clock. Instead of bringing a big clock and mounting it in the back of the room, I use Presentation Clock (although typically on my iPhone since I use my iPad for preaching). It counts down the remaining time, and changes color to warn you when you are nearly out of time. If you tend to preach too long, your church will thank you for using this app! GoodReader – I love preaching with an iPad. GoodReader is a great PDF reader that I use for all of my sermon notes. I write my sermon notes in pages, but word processors are terrible to preach from, because with one tap you could accidentally delete or rearrange all of your notes. GoodReader allows me to crop, highlight, and read my notes without fear of messing them up. Spotify – Spotify has completely replaced the iTunes app on my iPad. Spotify gives you access to a music library of nearly every song ever recorded! There are free options, but I signed up for the subscription, because it is worth every cent. Instead of paying $10 a month for one new Christian CD, I pay $10 a month for every Christian CD ever. It is great for making current playlists for my ministry. No more old songs playing again and again for years in my church. Nothing but the best. Garage Band – If you want to make music, record music, record a podcast, record your preaching, or record a meeting, Garage Band is for you. Garage Band is the best audio recording app available. Period. iMovie – Being able to create video is more and more important in churches. If you want to shoot and edit video announcements, testimonies, skits, video of service projects, or whatever, iMovie is the best. This app can handle just about any video project a church has (other than 3D animations and more technical videos like that). 30/30 – 30/30 is a time-management app for getting more done. It lets you set a list of tasks and a time allotment for each. Then, start the timer and get as much done as you possibly can before the buzzer. Now switch to the next task. This works great if you think about it as a game. How much can you get done before the clock runs out? Just don’t forget to schedule a break or two in between tasks. Use it for managing time on Facebook, checking email, or working on a sermon. You will be surprised at how much more you get done in less time. Clear – Clear is now my favorite to-do app. I have tried a many to-do lists, and I absolutely love the simplicity of Clear. If you live and die by your to-do list like me, you need a simple, enjoyable way to keep your list across all your devices. This may sound weird, but the gestures you use and the sound effects in this app make finishing and adding tasks feel like a video game. If you try it, you will see what I mean. I hope you found this list of the best iPad apps for pastors helpful. Copied from Rocky Mountain District UPCI website.